La Liga expert Guillem Balague claims highly rated manager Pep Guardiola is interested in joining Arsenal at some point, but doesn’t think it will be enough to see him make the switch to north London, according to Sky Sports. The Spanish journalist claims Manchester City and Chelsea are ahead of us in the hunt for his signature, despite his admiration for Arsenal. He insists the Bayern Munich boss would be the perfect manager to take over from Arsene Wenger after nigh on 20 years at the club, but just can’t see it happening. “I go [sic] agree that Pep would be perfect for Arsenal but, despite the interest of Pep in the London team, I feel he might be going somewhere else,” he said. 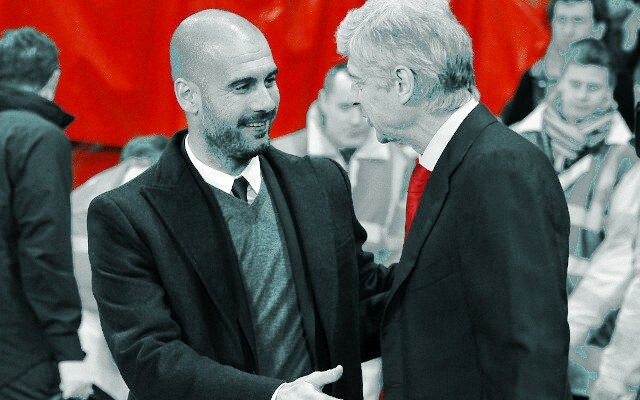 Guardiola would unquestionably be an excellent manager, and he’s one of the few men Arsenal fans would actually trust to take over from Arsene Wenger. It’s arguably not the right time for the Spaniard to join Arsenal though, as Wenger isn’t done quite yet. Just like Balague, the Frenchman has admitted that the former Barcelona boss could be the perfect fit for Arsenal (via the Mirror). He will step down in his own time though, a privilege he’s earned through nearly two decades of loyal service at the club. It would obviously be a shame to see Guardiola join one of our Premier League rivals, but that doesn’t mean we should force Wenger out before he’s ready in an attempt to lure him to the Emirates.